Rather than celebrating Kenyan culture by visiting a restaurant, the developmental psychology specialist invited Wits Vuvuzela for a “cultural picnic” to celebrate Heritage Month. September’s associations with heritage, culminating in the public holiday on the 24th, posed a dilemma for Vuvuzela reporters: would we look at South African heritages and cultures and risk adding to the truism that South Africans are self-involved? Or should we look at non-South African cultures and risk the accusation of treating heritages outside our own as inherently foreign? 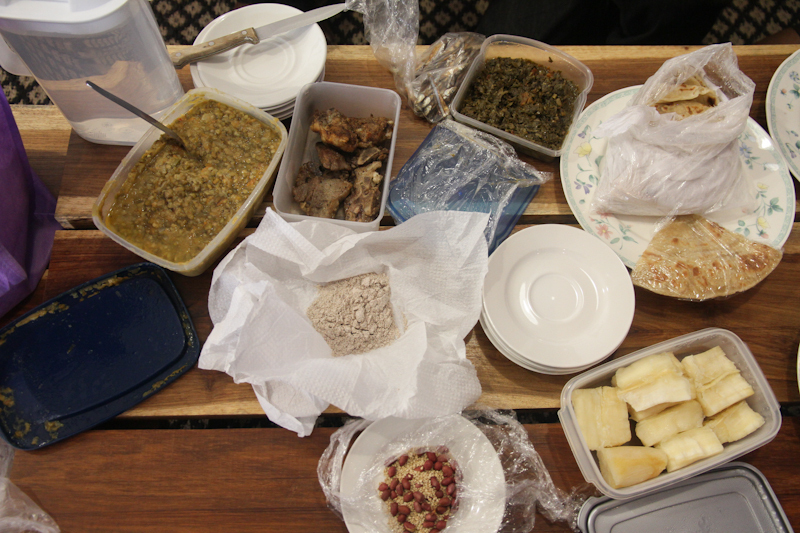 The dilemma resolved itself when we sat down to a lunch of traditional or kienjeli Kenyan foods with Imbosa and some for her colleagues from various parts of Africa. She had prepared it the night before between her punishing academic schedule. The meal consisted of a number of dishes that were made of slow-cooked vegetables and natural food stuffs prepared with little or no oil. “Every homestead in Kenya has a kitchen garden,” Imbosa said as she pointed us to sukumawiki, which translates to “stretch the week” in English – a mixed vegetable dish of shredded carrots, onions, tomatoes and lentils. She explained that the name referred to the fact that meat was a luxury, so this cheaper vegetable dish could be enjoyed throughout the week. Throughout the meal and the conversation she referred again and again to the close relationship she felt to growing, preparing and slowly enjoying her food. “I grew up cooking, I was always with my mother and my grandmother and you learn the art of growing and harvesting food.” She explained this feeling of being “in fellowship” with your food as “almost metaphysical”. Imbosa said the traditional food she shared with us reminded her of home, which is why she continued to go to places like Yeoville to source ingredients such as cassava and doga (fish fingerlings) and chapatti. Perhaps finding the common ground was the point of the cultural experiment..